The Fortnite mania shows no sign of slowing down, as Epic’s game has been a wild success by anyone’s standards. And given that more people will be picking up the game during the Christmas holidays, it makes sense that the game will be getting several new, Christmas-themed challenges in the days to come. Actually, the “14 days of Fornite” challenges recently leaked online, courtesy of one Twitter user who’s apparently involved in datamining Fortnite’s files in order to discover what’s coming next to Epic’s game. These 14 challenges apparently, which may very well be live in the game by the time you read this too. The new Fortnite challenges are listed in the following tweet (via Forbes). None of these challenges appear to be particularly challenging, though. 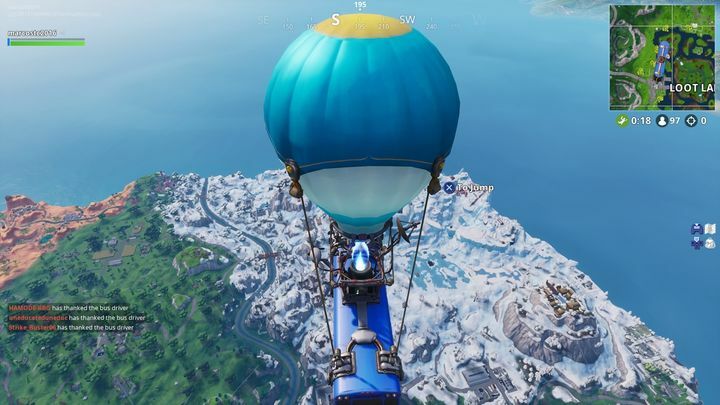 Searching chests, for instance, is something anyone playing Fortnite: Battle Royale will do several times over the course of a game, although others like finding those Goose Eggs, flying through biplane rings and hitting fellow players with snowballs might take a bit more work. Aside from taking part in these Fortnite challenges (which will run over the course of 14 days – a “fortnight”, you see), those playing the game on PC might also want to take a look at Nvidia’s Fortnite bundle, which includes some interesting in-game items you might want to get hold of. Either way, this has certainly been another great year for Epic and Fortnite, and hopefully 2019 will also be great for those who have been playing and enjoying the game to date.